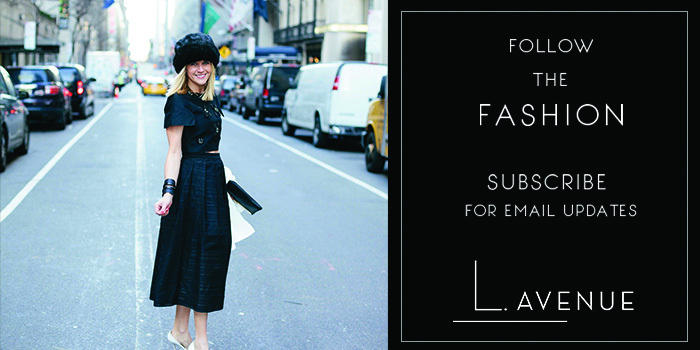 Today, I’m beyond excited to collaborate with my most fashionable friend and blogger cohort, Carrie of Where Wear Well. We were at an event for Net-a-Porter earlier this fall and both feel in love this this pink J. Crew blazer, which sparked our idea to style it two ways for y’all today. 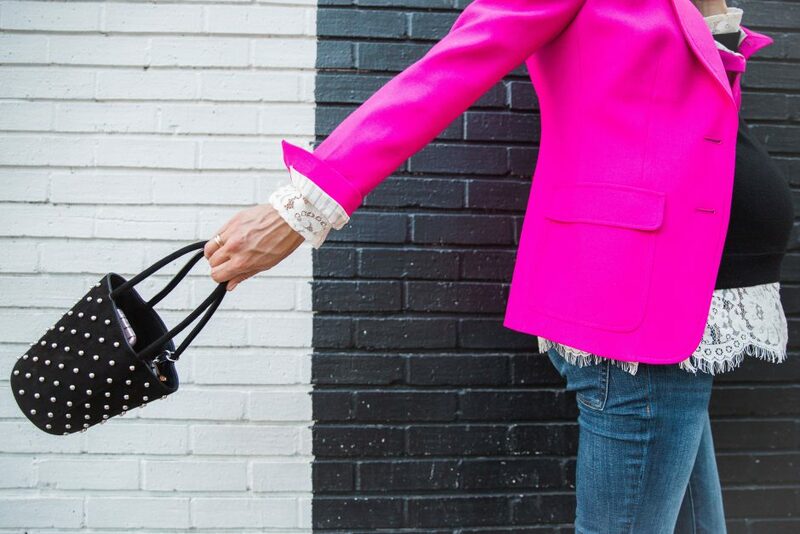 Hence, our case for why you need this bold pink blazer in your fall wardrobe. It’s no mystery I’m happiest in denim, a blazer and a fun flat or pump. I collect blazers like it’s my job. Wait, it is my job. Kind of. Anyway, every fall I’m super pumped to break out all of my favorite blazers while typically adding a new one to the collection too. A bold pink J. 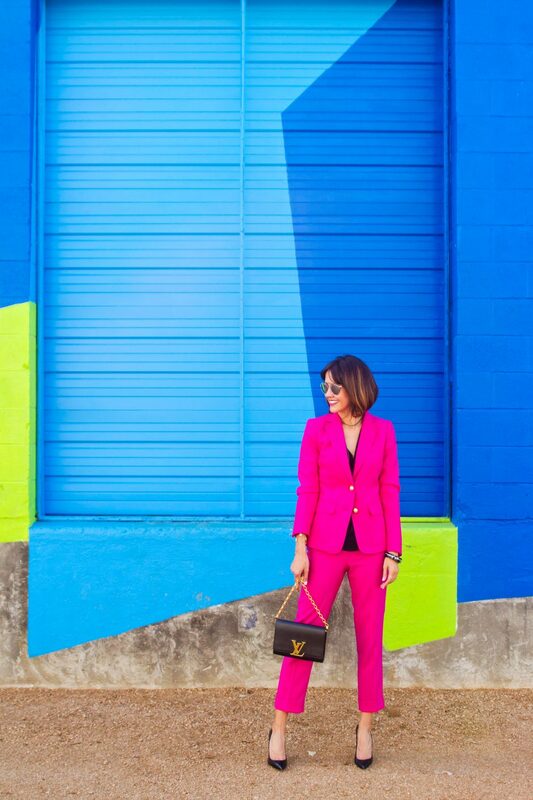 Crew blazer takes the cake this year and today I’m teaming up with Carrie from Where Wear Well to bring you another fabulous way to style this wardrobe staple. With an 8 month baby bump, black is my color of choice and I just so happen to love how pink and black work together. I love a mix of texture and a lace sleeve detail with a studded sides bag fit the bill. As much as I love the skinny jean/pump combo, heels are pretty challenging right now so I found the perfect flat alternative. It’s pointy, which still helps elongate legs and dressy enough to wear with my fall dresses and skirts yet works for more casual looks too. I splurged on these gems. And check out how Carrie C. styles her blazer with a monochromatic blazer + pant combo. I’m obsessed with her matching set, a little dressier than my look, it’s oh so bold and fun! Check out Carrie’s blog post today for 3 ways to wear these pink pants too. And be sure to follow Carrie on Instagram here. Her feed is insanely good.